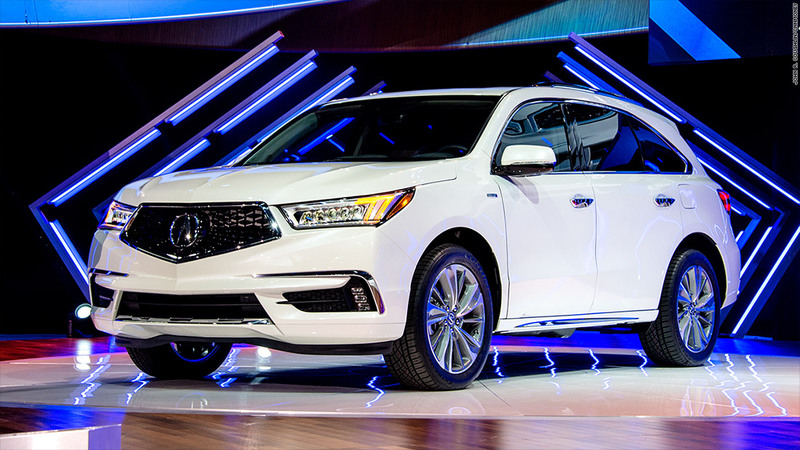 Acura upgraded the looks and performance of its popular large SUV. The most obvious change is the new grill in a more chiseled-looking front end. Also now standard is a set of semi-autonomous driving techologies that Honda's luxury brand refers to as AcuraWatch. The MDX Sport Hybrid has Acura's three-motor all-wheel-drive hybrid system. With one electric motor for each back wheel, power can be delivered as needed to each side. That helps when steering in hard turns.